The Aga Khan Trust for Culture (AKTC), in partnership with the Ministry of Information and Culture, has undertaken over 120 restoration and conservation projects in Kabul, Herat and Balkh. Brussels, Belgium, 5 October 2016 – A Memorandum of Understanding (MoU) for the conservation and rehabilitation of Kabul’s key historic areas was signed today on the sidelines of the Conference on Afghanistan in Brussels. The agreement between the government of Afghanistan, represented by the Ministry of Urban Development, and the Aga Khan Trust for Culture (AKTC) – an agency of the Aga Khan Development Network (AKDN) - encompasses a multi-year partnership for urban planning activities and the implementation of a number of projects that will protect and enhance heritage assets of the capital city. This public/private cooperation aims to further develop aspects of heritage management principles outlined in the Government of Afghanistan’s Urban National Priority Programme (UNPP). Under the agreement, technical assistance will also be made available by AKTC on planning and conservation activities currently being undertaken by the government of Afghanistan in the former Royal Palace and the wider Darulaman precinct. Luis Monreal, General Manager of the Aga Khan Trust for Culture (AKTC) with H.E. Sadat Mansoor Naderi, the Afghan Minister for Urban Development and Housing after signing the agreement. The MoU extends AKDN’s commitment to preserving Afghanistan’s built heritage and developing sustainable models of urban planning, upgrading and conservation. With 15 years of direct involvement in preserving more than 120 monuments in multiple regions of Afghanistan, AKTC’s programmes have supported communities living and working around historic sites with new economic and social opportunities through investment in conservation and by providing training and capacity building initiatives. The Bagh-e Babur, Kabul, Afghanistan. In partnership with the Ministry of Information and Culture, the Trust has undertaken over 90 restoration and conservation and urban regeneration projects in Kabul, Herat, Balkh and Badakhshan, including work on significant monuments of cultural heritage. 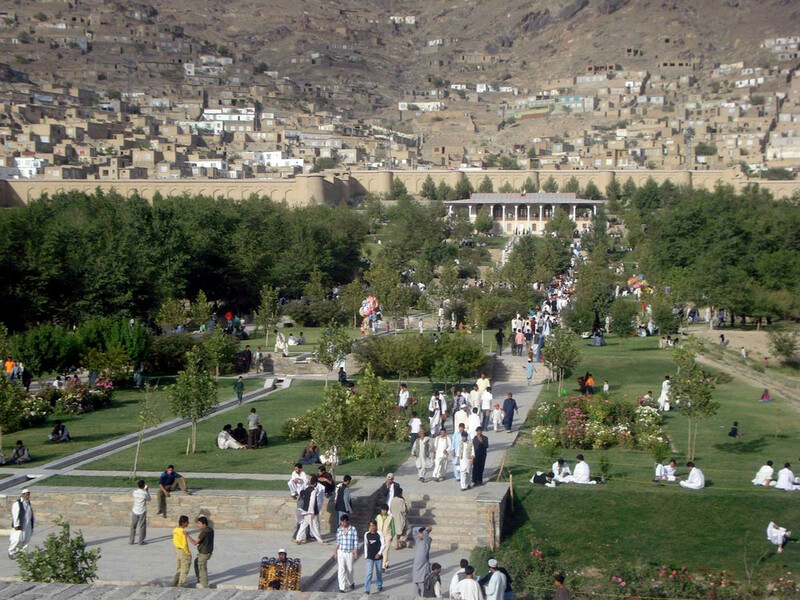 In Kabul, AKTC has rehabilitated Bagh-e-Babur (a Mughal-era garden), the Timur Shah Mausoleum, and restored war-damaged quarters of the old city. In Herat, AKTC has helped to preserve surviving sections of the old city, including the Ikhtyaruddin Citadel, and an important Timurid shrine complex. In Balkh, the restoration of the 9th century Noh Gumbad Mosque – the oldest known mosque in Afghanistan – continues. The Aga Khan Development Network (AKDN) began working in Afghanistan in 1996 when it started distributing food aid during the country’s civil war. Since 2002, AKDN and its partners have committed over US$ 1 billion in development assistance to the country. The Network's integrated approach combines economic, social and cultural inputs. Its economic projects span over 240 cities and towns in the country’s 34 provinces. Its social development and humanitarian work is focused in 61 districts in seven provinces, impacting over 3 million people. Its cultural programmes, which operate in Kabul, Herat, Balkh and Badakhshan, have restored over120 historic buildings.